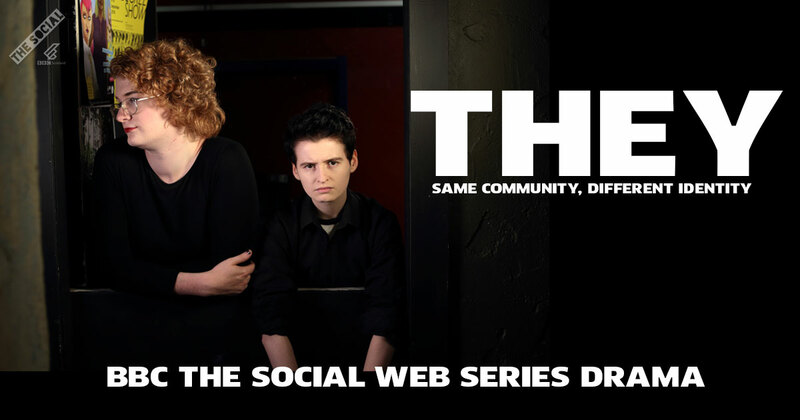 ‘THEY’ is a 6 webisode series presented by BBC The Social. The story follows Steph, a trans woman, and Cam, a non-binary person, as they are thrust into each other’s orbits through their shared role as nightclub cloakroom attendants. 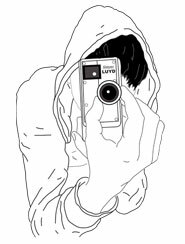 Steph finds Cam’s earnest, albeit sometimes native, queer chat irritating, but is she hiding something? Below is a playlist of the complete series from BBC The Social’s YouTube channel. Steph gets a nasty shock when an apparently new colleague, Cam, turns up to start their first shift as cloakroom attendant. The point of having this soul destroying job was to avoid conversation with anyone, especially queer crusader chat like Cam’s. Steph is having a coat crisis, Cam is having an identity crisis. Despite Steph’s protests, Cam rants about their genderqueer status, gender neutral pronouns and their trans pal Rex. Steph forgets her irritation for a moment to give Cam advice on the queer kink community. Fighting over who has it worse in public toilets, Steph and Cam compare experiences as a trans woman and a non-binary person. A trip to the Women’s Library unexpectedly reveals part of Steph’s past. When they confront Steph, Cam can’t believe who they’ve been working alongside. Steph’s secret is finally out, and Cam can’t believe their luck.